The student registration is closed. Organize the 2020 edition of the Bedrijvendagen? Are you interested in organizing one of the largest career events in the Netherlands? We’re looking for six new board members for the 2019-2020 academic year. Would you like to add something more than just study book knowledge to your academic career, and be involved in the complex task of helping your fellow students in finding a career that suits them best? Then maybe a position in the Bedrijvendagen Twente board will be the perfect fit for you! More information can be found here! The applications will open on April 3th. Send your CV and motivation letter to info@bedrijvendagentwente.nl. The application deadline is April 21nd. Welcome to the website of the Bedrijvendagen Twente. 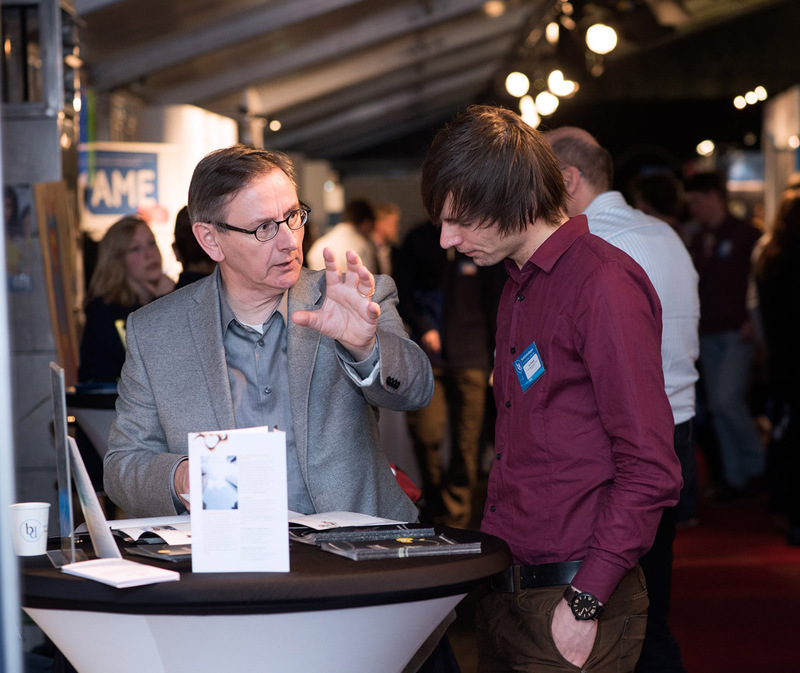 This annual event, hosted by the University of Twente, consists of a series of events aimed at creating and improving contacts between students, post-graduates and alumni on one side, and potential employers on the other. Every year, more than 2,500 students and recent graduates meet over 150 companies through a great variety of activities, which take place on or around the University of Twente’s own campus. The Bedrijvendagen creates opportunities for students to get in touch with interesting companies and get that job they've always dreamed of. This video is an example of what you can achieve by participating in the Bedrijvendagen events. Do you know of any success stories of other students? Let us know by calling (053-4893898) or send an e-mail to pr@bedrijvendagentwente.nl.